Reader Jules lives in Ireland. 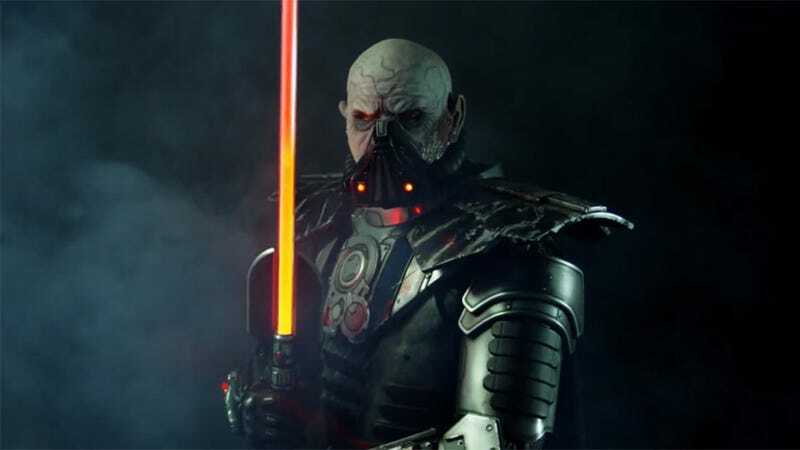 He's cosplaying here as Old Republic's enormous Darth Malgus, which might seem ambitious, but when you consider Jules stands 6' 6" himself - 6' 8" in the costume - you start to realise how perfect this is. He built the costume entirely himself; the other people you see in the video below are only there to help him get dressed. While we're talking about the video, isn't it awesome? Cosplay photos are great, don't get me wrong, but a video like this really helps you get a sense of how complete and detailed the costume is, because you can see it standing up to his range of movement (and looking good from all angles).